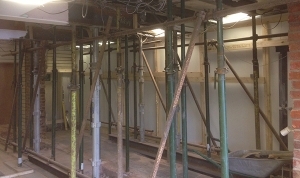 In short we carry out all aspects of general building work from concept to completion. From the construction of domestic dwellings to carrying out home maintenance and hard-landscaping. We also employ the services of specialist approved contractors, to undertake works to your exact requirements, under our supervision, and to your time-scales. 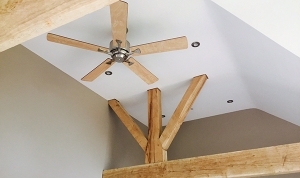 From conception to completion, we can carry out all or any individual aspects of your domestic construction. 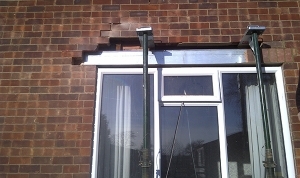 We can provide competitive quotations for any type of domestic extension. Contact us for further details. 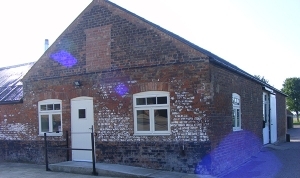 We carry out conversions and refurbishments including alterations to buildings of historical interest. 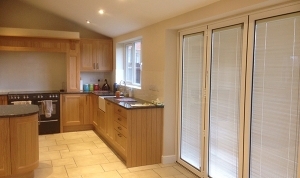 Are you looking to update your kitchen? Then speak to us about your ideas..
Should you be unfortunate enough to require insurance repair work, we can work in conjunction with your insurance company and provide a realistic quotation. 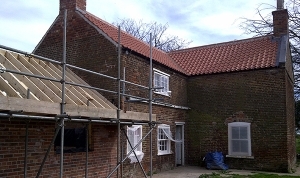 Thinking of undertaking structural alterations to your property? Need advice? Please contact us for information.